Analog design has never been easy. Engineers can spend their entire careers focused just on phase-locked loops (PLLs), because to get them right the functionality of circuits need to be understood in depth, including how they respond across different process corners and different manufacturing processes. In the finFET era, those challenges have only intensified for analog circuits. 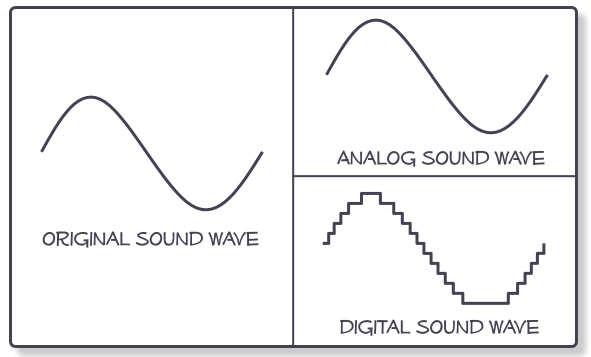 Reuse, for example, is a common practice in the digital world, but it hasn’t applied to analog design for quite a number of process nodes because analog circuits don’t scale beyond a certain point. A growing list of physical and electrostatic effects in the finFET nodes are forcing engineering teams to take migration off the table as an option, and to reconsider the architectures and design circuitry, as well as run a lot more verification. For the two types of noise that are on transistors — thermal noise and flicker noise — transient noise analysis can be run within SPICE simulation. “This is a time-domain analysis, but at every time step it inserts the random noise for each of the devices,” Tegethoff said. “And while it does make stimulation take longer, design teams can simulate complex PLLs or high precision ADCs in the time domain to see it locking, see its stability. Another growing challenge involves interconnect resistance, which is becoming a bigger problem at each new node. With interconnects, the resistance and capacitance on the interconnect itself have to be accounted for in the stimulation of the circuit. Otherwise it’s not accurate. The thinner the conductor, the greater the resistance. “If the output of a transistor is being connected to another one, in the past you could treat that like an ideal wire with zero resistance,” he said. “Now it has some amount of resistance, which means that after the circuit is laid out, the layout parasitics must be extracted. Those must be fed back into the schematic, and simulated again with everything included. That will cause the number of elements on the circuit to go up by 100,000X, which means the simulation takes much longer. Then, if you run the simulation with the resistances and you find that it doesn’t meet the specification, then you’ve got to go back, change things, and simulate again—not to mention the additional verification this will require. Other things driving complexity in analog IP include variability of the devices themselves, which require Monte Carlo types of analysis to make sure that the variability is a under control. Device behavior depends on layout context and surroundings, which typically falls under the heading of layout-dependent effects (LDE). Those effects have significantly increased the iterations between design and layout, said Muthu Vairavan, senior product marketing manager for design IP at Cadence. Still, the challenge continues to exist for low-cost system applications, where increased cost of package-level integration is not justified. “Even in high-performance datacenter and cloud applications, key mixed-signal designs like very high-speed DSP-based SerDes will benefit from the tighter densities and lower power of the advanced nodes. So the analog designers will need to continue to innovate, and the foundries and tool vendors need to incorporate analog design feedback early on in the process and tool development cycle to mitigate some of these challenges. Analog IPs are the key differentiators in many SoC designs, and their performance and quality are essential to the success of these products,” Vairavan added. Process migration for analog circuitry always has been troublesome, but it has become even more of an issue in the finFET world. This has been a problem starting at 180nm. Below that everything requires a redesign. Advanced process nodes simply were not created with analog characteristics in mind. They were developed to leverage area scaling of digital circuits. “The reality is that analog circuits and analog interfaces end up being required to be integrated into digital blocks, and of course people who are designing these blocks and people who want to integrate them do face challenges, which can be addressed,” said Manuel Mota, product marketing manager at Synopsys. Even with metal stacks it used to be that they could be considered almost ideal, but now resistances, capacitances and parasitics all play a huge role in the characteristics of the overall circuit design. Additionally, there are effects specifically related to the finFETs. Moreover, things that the design would not have been sensitive to in the past in very conservative electrical analog nodes, such as aging and reliability, are now critical—especially in automotive, medical and industrial applications. Issues for analog IP at advanced nodes boils down to everything getting more complex, and what were third-order effects becoming first-order effects. 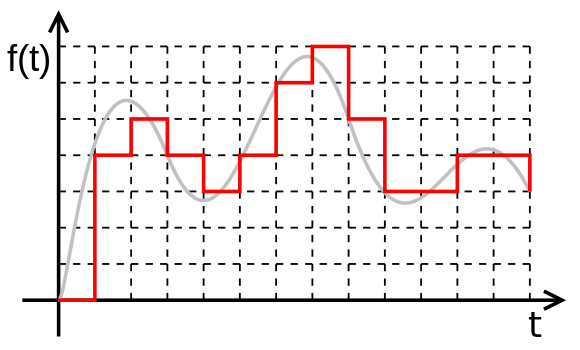 “The net result is a continuing requirement for SPICE-accurate simulation at those nodes with longer simulations, more simulations, and the need for smart environments to do things like smart Monte Carlo continues to put a demand on the circuit simulator to continue being accurate, but become faster, handle bigger circuits so that they can get their job done in a reasonable amount of time,” Tegethoff said. Looking ahead, considering what’s needed to support the frequencies and the bandwidth of technologies like 5G and the like, an artist is still needed to figure it all out. This is extremely complex, and becoming even more so. And what was once a somewhat isolated art now has to deal many of the same problems as advanced digital designs, but with some unique analog twists thrown in. Analog process migration can be very successful and certainly works at smaller process nodes. FinFET will bring extra challenges as will moving from bulk silicon to SOI but effective migration can move a circuit far more quickly than redesign. Our company has been providing analog migration tools and services for many years and has delivered a wide variety of products, from small precision PLLs through to wireless transceivers and SerDes. The key is to use the Process Design Kit (PDK) for both schematic and layout to ensure compliance with the target foundry’s models and device structures. Early stage migration can also be of huge benefit when evaluating a new process. A schematic and test benches can be migrated and ready for simulation in a few hours and then tuned from there. The migration tools resolve the physical and parameter differences for the PDK elements, leaving the engineer to work at the circuit level. Layout is much more complex but the same principles apply: migrate using parameterized cells and keep the matching and signal positions exactly as they were, making small adjustments for the constraints of new design rules. This soon gives a circuit for extracted simulation so engineers can perform accurate tests using foundry supported data. Shrinking design cycles mean that designers must find ways to deliver their products quickly. IP vendors can’t offer their circuits in every process but migration can move them to new nodes or foundries when new licensing opportunities arise. A key to the mixed signal IP business is being able to offer tested circuits in the customer’s choice of process and migration is often the fastest and most effective way to do it.